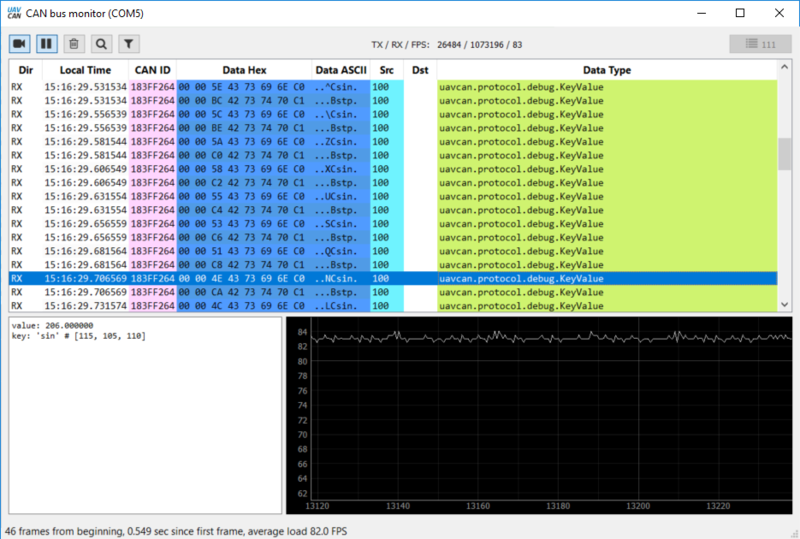 In this article we will turn Zubax Babel into a simple UAVCAN publisher. All the code here includes the code from the previous tutorials and extends it. 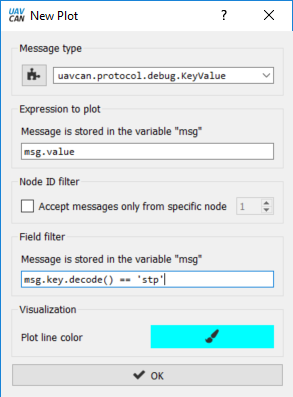 Our goal is to publish a couple of different values via UAVCAN and to check if everything works properly by plotting graphs in the UAVCAN GUI Tool's plotter utility. 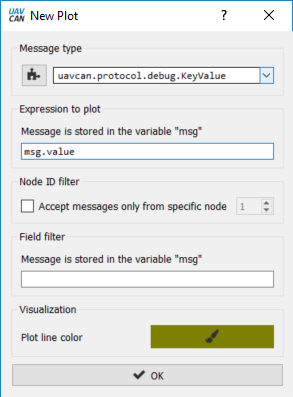 We are going to use the UAVCAN message uavcan.protocol.debug.KeyValue. The UAVCAN specification says that float32 values can be broadcasted this way. We can use it to broadcast some custom sensor data, ADC data, or just any named value. 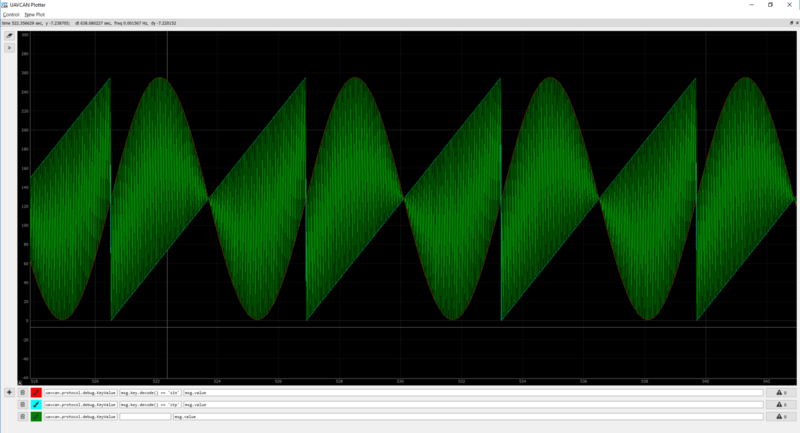 For the sake of simplicity, in this tutorial we will broadcast sine values. But, assuming that the MCU resources are quite constrained, we will take the values from a lookup table. We will also broadcast the second value – the current table index. Important note. Integer and float values have very different bit-structure. As libcanard expects a float data type for uavcan.protocol.debug.KeyValue, it is important to give it exactly what it wants - a float value. So, despite the fact that we have an unsigned integer (even uint8_t) typed sine table, it is important to provide the canardEncodeScalar function with a float type parameter. Now let's open UAVCAN Plotter, which can be found in the Tools -> Plotter menu. You may adjust the scale of time and value axes by moving the mouse while holding the right button pressed.